Civic EX-T and above models feature a 1.5-liter, turbocharged engine for high cruise efficiency and robust performance. CVT maximizes efficiency, whatever the driving condition. The new Civic handles every bit as nice as it looks. Improvements to power steering and rear suspension offer a smoother ride without compromising fun. Competitive performance now comes with excellent fuel economy ratings. 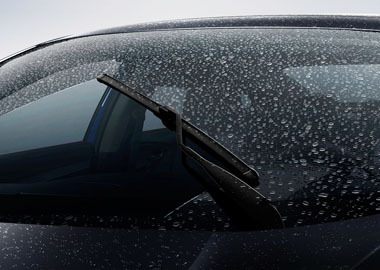 The Civic knows when it’s raining, and can activate its wipers automatically (Touring). 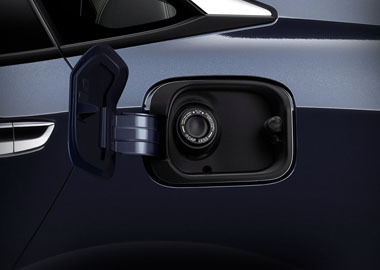 The fuel filler neck opens on contact with the pump nozzle, making every refill simple and clean. 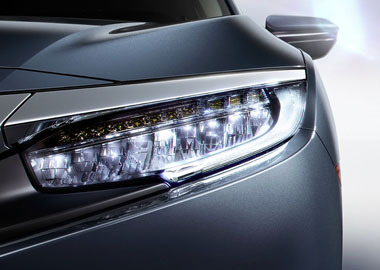 See more road and use less energy with distinctive LED Daytime Running Lights and brake lights. Touring models also feature all-LED headlights and turn indicators. When it’s too hot or too cold, start your car from somewhere comfortable (EX and above). Individual temperature controls for the driver and passenger sides allow everyone to travel happy (EX-T and above). See what song’s playing, who’s calling and more with a quick glance at a color screen right behind your steering wheel (EX and above). The latest in mobile connectivity, Apple CarPlay7reg; allows you to access several of your smartphone features on the Display Audio touch-screen (EX and above). Power seats mean personalized comfort, whether you’re driving or along for the ride (EX-L and above). Need more cargo space? Fold down one or both sides of the rear seatback to accommodate both gear and passengers (EX and above). Get a better view of what’s behind you with three different angles: normal, top-down and wide. Helps you maintain a constant following interval, so you don’t have to manually change your speed. Signal right and a small camera displays live video on your Display Audio screen to reveal nearly four times more than the passenger-side mirror alone (EX and above). Helps bring the Civic to a stop when it senses an otherwise unavoidable collision with a vehicle detected in front of you. A small camera identifies common safety markers, like lane dividers and raised pavement markers, and alerts you if it detects that you’re about to leave the road.